Social media and communications professionals already know the value of employee advocacy, including new reach, increased engagement and sales. But how can they achieve the internal buy-in needed to launch a company-wide employee advocacy program? 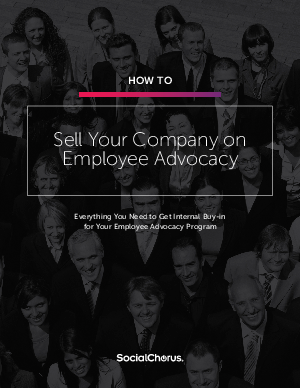 Download this ebook to learn everything you need to know to sell your employee advocacy program internally.